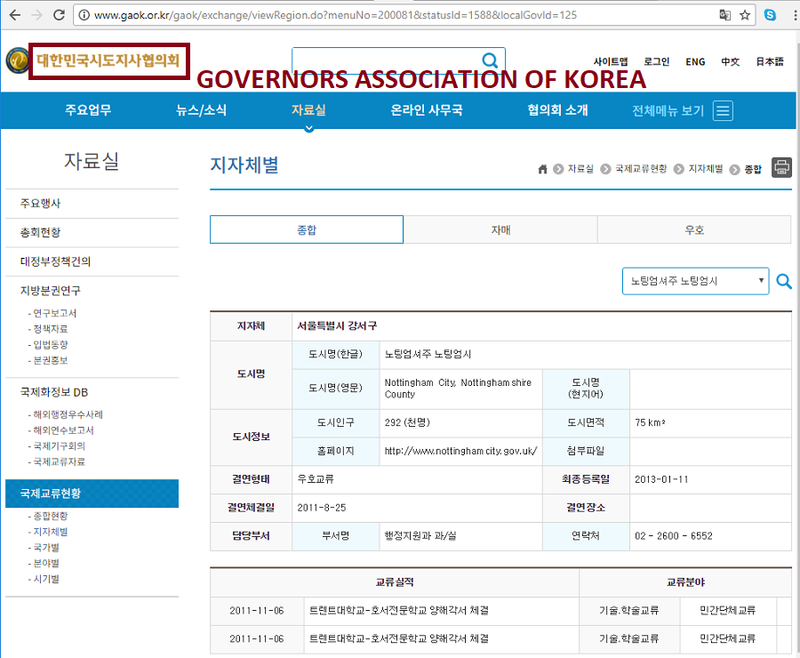 Home / Blog / [Update] Correction: Signed Agreement was “Letter of Intent for Friendly Exchange and Cooperation”, not “Friendship City” Agreement. Nottingham Post reported on our campaign on August 3, 2017: “Campaigners press Nottingham to act on Korean dog meat trade”. This article had reported that a city of Nottingham official had stated that they are not aware of any arrangement with the Seoul Gangseo District. 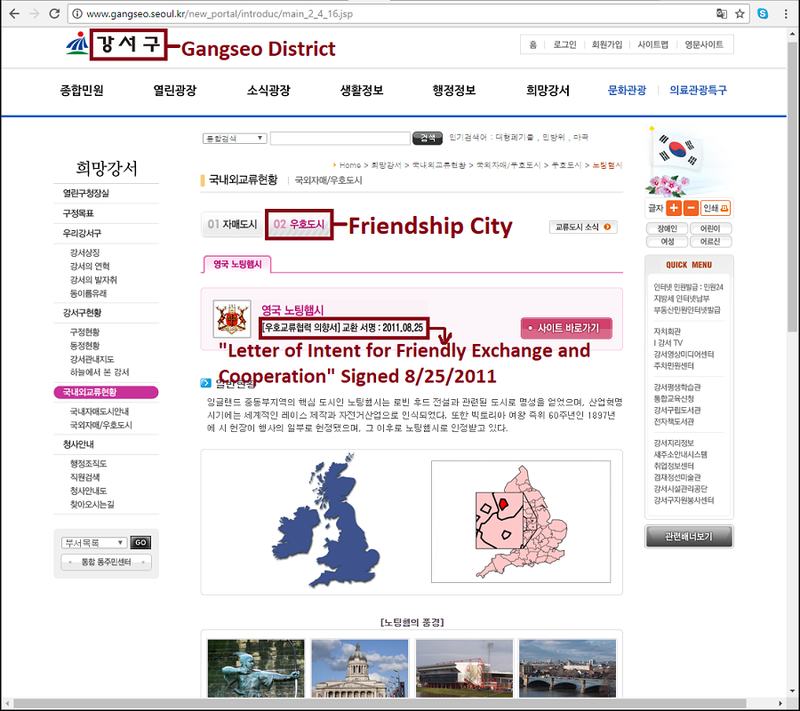 We reviewed our sources (shown below) and became aware that the agreement signed by the Seoul Gangseo District and Nottingham on August 25, 2011 was a “Letter of Intent for Friendly Exchange and Cooperation”, and not the “Memorandum of Understanding” (MOU), commonly known as Friendship City agreement. It seems that although the “Letter of Intent” was signed, it did not lead to the signing of MOU by these two cities. An MOU was however signed by the two universities in these cities – Hoseo Technical College and Nottingham Trent University. We apologize to the city of Nottingham as well as to our supporters for this oversight. We had sent a letter to the City of Nottingham, advising them of our corrections and also asked if they can still help by speaking out against the animal cruelty and the indifference of the Gangseo District toward animal abuse. We have closed our campaign and petition. We appreciate Nottingham Post for alerting us of this error and for helping to raise awareness about the terrible plight of the Korean animals in the dog and cat meat trade. We are also thankful to all of our supporters who have taken action. good to know !! even though they are not in relationship, Notthingam can speak for the dogs and cats in S. Korea to their university !! it’s not good to be blind when the living being are tortured in so cruel way to be eaten !! hope they will do this ! !